In honor of this 6th year celebration, each of the Papertrey Ink stamp designers have designed a freebie image. Nichole Heady has put them together for your use in PDF form, found on her blog. 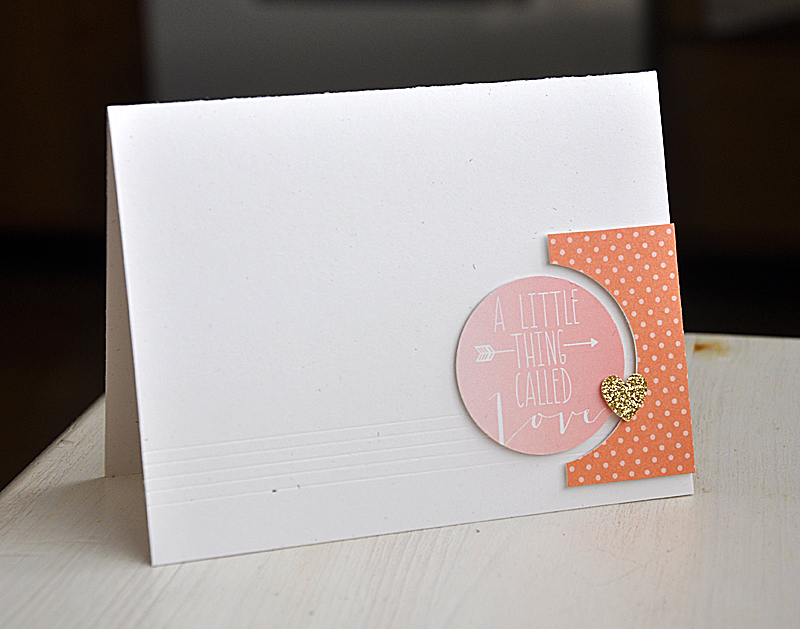 It features a fun little love phrase (perfect for V-day, weddings, anniversary's or just love in general) and a sweet blush to melon berry ombre effect. It's just too cool for words and looks a lot better in person. I punched the ombre circle using a 1 3/4" punch and then punched a half circle from melon berry pattern paper using a 2" punch. Attached both with dimensional adhesive. Just a note: Before attaching the punched pieces I scored 5 lines along the bottom edge of the card front. It's much easier to see if you click on the photo for a close up. :) Then finished the card off with a hand cut heart, cut from some American Crafts glitter tape. Well, that's it from me. Don't forget to stop by Nichole Heady's blog to get yourself your very own copy of these images. Maile your card is very pretty and an interesting layout. I absolutely love this card Maile!!! i love your style maile! can't wait to see all that you have designed for us this year! great card too...love your simplistic, but elegant approach! Your stuff is SO cool Maile!! This is just an awesome way to display your nice image. Thanks so much! SWEET and simple...PRETTY soft colors! I LOVE LOVE LOVE this design! Thank you for sharing your talents with us! Always impressed with your style and the ombre on this sentiment image is awesome. Just lovely, thanks for offering it. OMG, Maile, this is such a cool sentiment and love the way you showcased it. Hoping to get time to play with it today and looking forward to a great 2013 with people like you being a part of it. TFS! LOVE this. I hope to see much more with this style. There are some trends that I love right now that I can't quite find the right stamps for at PTI, and I'm hopeful that your design will help fill that gap. Beautiful card and design. I am always amazed at your work as your creations are always full of flair and punch! Thank you for always making art your way and sharing it with us all. Love your designs, Maile. Thanks for all the CAS inspiration. I love the card. I really look forward to seeing what you come up with every month!! Congratulations and best wishes for the upcoming year of PTI designing goodness. Looking forward to seeing what you have in store for us. I totally love your style & I know I'll love what you've come up with for this year. Your card is wonderful! Cool card, the scoring adds so much!! Thanks for the freebie! Maile - just saw the sneak peak of your new set - can't wait! This is gorgeous, Maile! 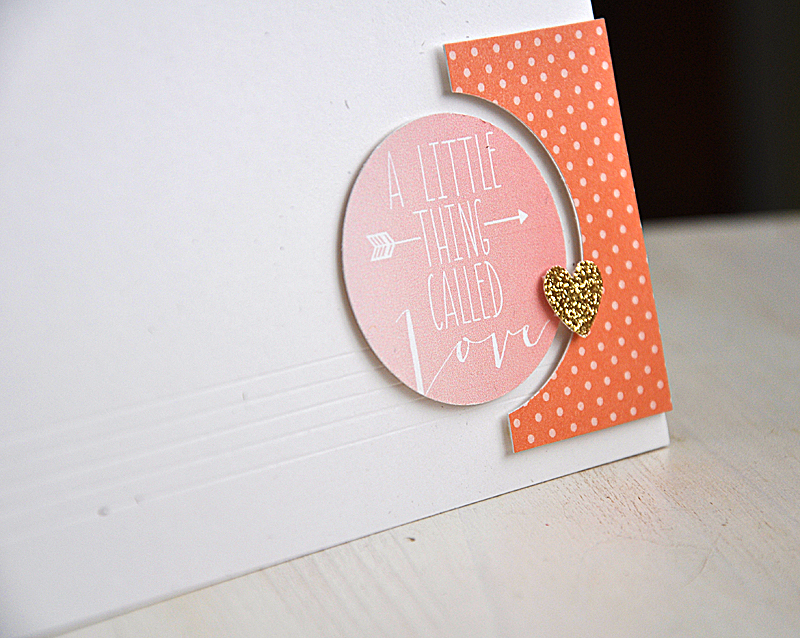 Love that little gold heart....such a perfect touch! Great little stamp and super cute card. This is awesome, I love the simple but elegant look.